Need more poke in your life? Hoodline crunched the numbers to find the top poke sources in Chicago, using both Yelp data and our own secret sauce to produce a ranked list of the best spots to fill the bill. Topping the list is En Hakkore 2.0. 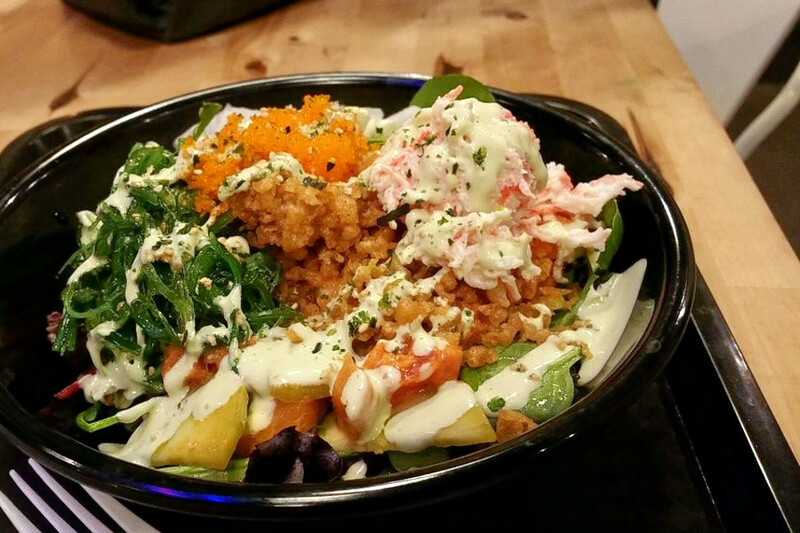 Located at 1467 N. Milwaukee Ave. in Wicker Park, the sushi bar and Asian fusion spot, which offers sushi burritos, wings and poke bowls, is the highest rated poke spot in Chicago, boasting 4.5 stars out of 306 reviews on Yelp. 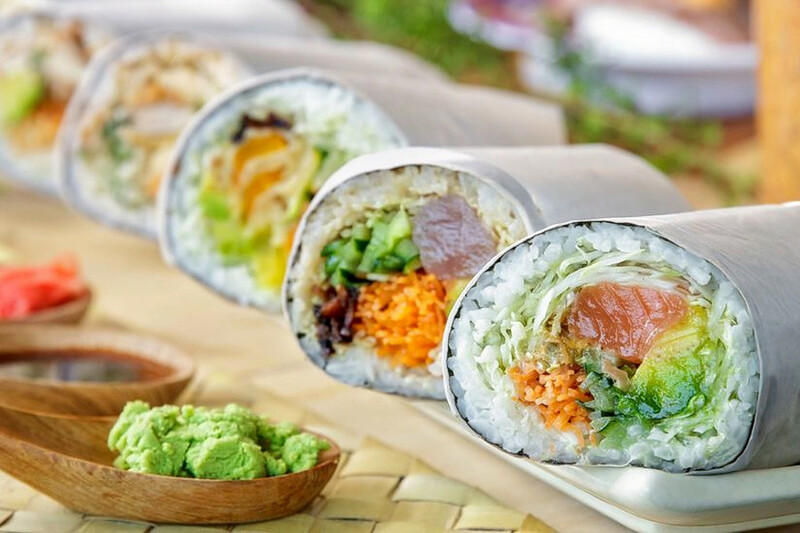 Try a sushi burrito like the Crunch (shrimp tempura, eel, cream cheese, sweet potato, cucumber, lettuce, avocado, eel sauce and mayo) or the Fire (spicy tuna, sweet potato, lettuce, jalapeno, red pepper, avocado and eel sauce). 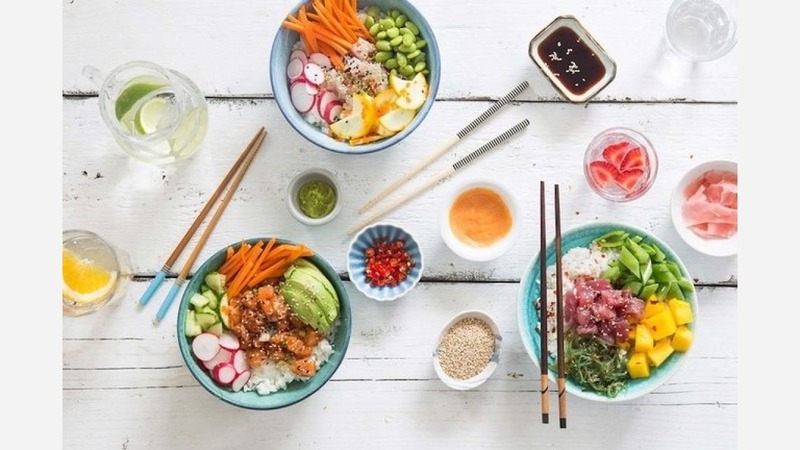 There are also seven colorful bowl options on the menu, such as the Lava (tuna, crab, masago, edamame, guacamole, sweet potato, cucumber, pickled radish and more). Drinks include teas, soft drinks, root beer and bottled spring or sparkling water. Next up is Uptown's Pokiology, situated at 4600 N. Magnolia Ave., Suite C (at Wilson Avenue), in Sheridan Park. With 4.5 stars out of 169 reviews on Yelp, the Asian fusion spot has proven to be a local favorite. 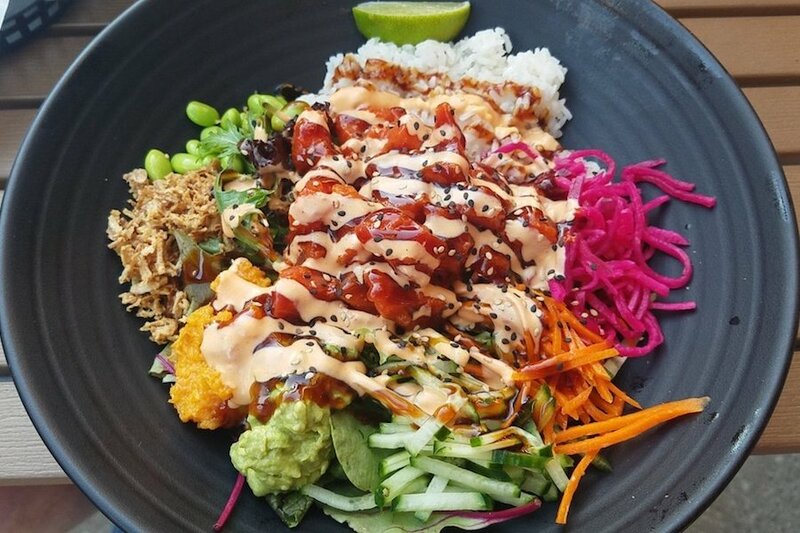 Build your bowl by selecting white rice, brown rice or salad greens, then choose between ahi tuna, salmon, shrimp, spicy tuna or tofu. Select a spice level and any or all of the nine available toppings to finish off your creation. Complement your meal with a sparking water, juice or tea. 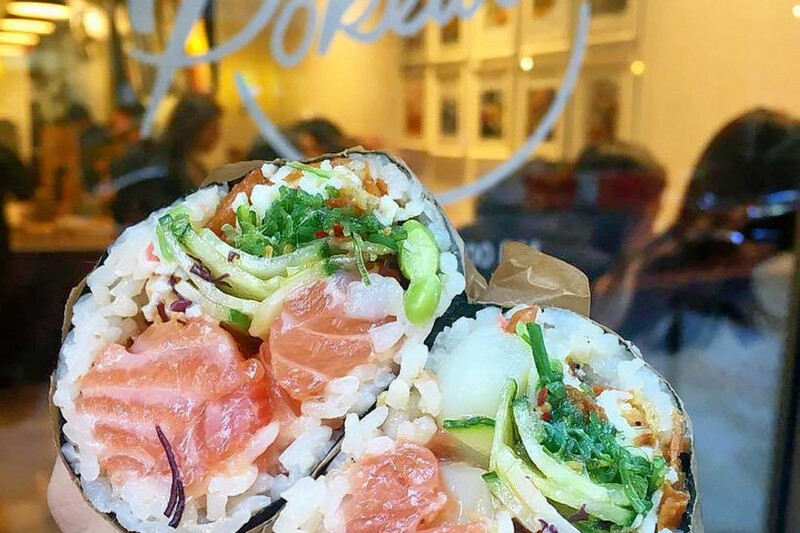 North Center's Poke Burrito, located at 4301 N. Lincoln Ave. (at West Cullom Avenue), is another top choice, with Yelpers giving the Japanese and Hawaiian spot five stars out of 59 reviews. Dine at the casual eatery or take the concoction to go. A regular-sized bowl is $10 and a large is $13. 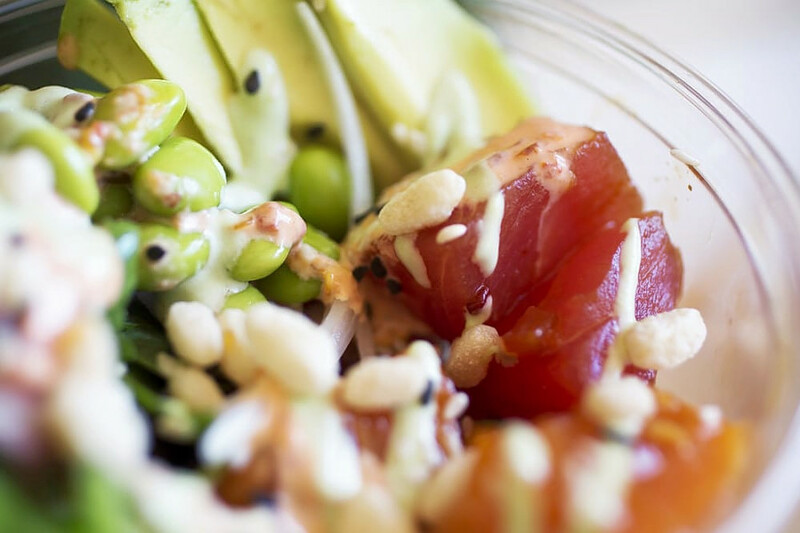 Besides the build-your-own bowl option, Poke Burrito has five house creations like the Hawaiian Classic (tuna, cucumber, pineapple, avocado, green onion, masago, edamame, sesame seeds and shoyu honey wasabi sauce). Over in the West Loop, Aloha Poke is another go-to, with four stars out of 332 Yelp reviews. Located at 131 N. Clinton St. in the Chicago French Market, Aloha Poke started in a tiny food stall in a train station. Saying it's on a mission to rethink fast food, per its website, the business now has more than a dozen outposts around the city and beyond. Bowls are available in 8-, 16- or 24-ounce sizes. You'll find all your poke favorites along with signature sauces like the sweet and savory Samurai and the spicy Volcano with chiles and ponzu mayo. Catering services are also available. Head to the the Loop to check out Pokeworks, which has earned 4.5 stars out of 94 reviews on Yelp, at 79 E. Madison St. The national chain started in 2015 and recently hired "Top Chef" alumnus Sheldon Simeon as a a chef-collaborator, per its website. Try one of Pokeworks' eight signature bowls, including the Sweet Ginger Chicken (chicken breast, green and sweet onion, edamame, cilantro, sesame seeds and spicy ginger sauce) and the Umami Classic (ahi tuna, green and sweet onion, hijiki seaweed, cucumber, sesame seeds and umami shoyu sauce).